Most people realize that they need to make plans for themselves and their personal belongings (estate) in the event of disability or death. Unfortunately, a high percentage of these people think that they will have plenty of time to address these issues later. Or perhaps they understand the need to address the issue of an estate plan but simply find it uncomfortable to think about their own death or disability. At Hollinger Law Offices, we stress the fact that a Will, a Power of Attorney and an Advanced Health Care Directive (Living Will) simply cannot wait. We understand that these may be difficult topics to discuss. But we also understand that this is your one opportunity to have a direct say in what will happen to your home, finances and other possessions upon your death. No matter how big or small the size of your estate, having a Will is essential if you do not want all of your possessions to be distributed based on a formula that is dictated by law. This means that your spouse may have to share assets with other family members not of your choosing. It also means that your estate may take a long time to finalize. It could even mean that your minor children would be placed in the care of a court-appointed guardian rather than with someone you would have chosen to take care of them. Unlike a Will, a Power of Attorney and a Living Will allows you to specify who will make important decisions in the event that you are still alive but are unable to care for yourself. This includes the power to make medical decisions, financial decisions and even the authority to indicate how you should be allowed to die if you are in a terminal condition or a vegetative state (permanent unconsciousness). 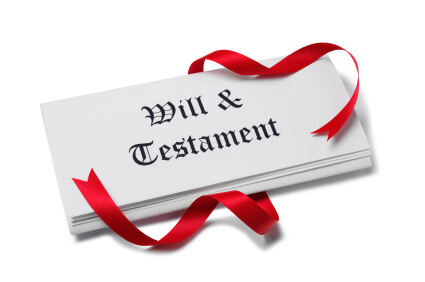 Like a Will, failing to have these vital documents would mean that these personal decisions would be made by family members not of your choosing or a court-appointed guardian who has never met you or your family members. Your life may literally be in the hands of someone you have never met and who will make decisions based on what the law says. At Hollinger Law Offices, we understand the importance of these documents and the need to personalize them based on your individualized needs. We not only provide sound legal advice but we do so with a compassionate understanding of the sensitive topics that often arise when discussing these issues. We encourage you to avoid procrastination and feel a sense of security that all of our clients feel once they have these documents completed and in their hands. Contact Hollinger Law today at 610-393-4838 to set up a free consultation! Or, fill in our Contact us form to schedule your consultation. The materials on this website are for general informational purposes only and should not be construed as legal advice or a substitute for legal counsel. You should not rely on any material on this website and should instead seek the advice of competent legal counsel. This information is not intended to create an attorney-client relationship. Receipt of e-mail by Hollinger Law, from you through this website shall not constitute acceptance of an engagement to provide legal services without an executed written agreement or engagement letter. Without an executed written agreement or engagement letter, Hollinger Law, shall not treat as confidential any information provided by e-mail, delivered through this website.